If services are over, please call us for delivery options. 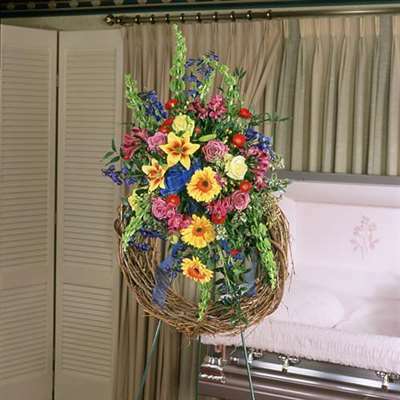 Jeweled toned and bold colors make for an ultimate sympathy tribute. Approx. H 42" X W 34"
© Copyright 2015 Colony Florist and Gifts. All Rights Reserved.